A Hidden Harbor® Newark Bay Tour is in the offing, which will take place onboard the luxury tour boat Zephyr. Produced by the Working Harbor Committee of New York, a 501/3c non profit corporation whose mission is to strengthen awareness of the working harbor’s history and vitality today, and its opportunities for the future. 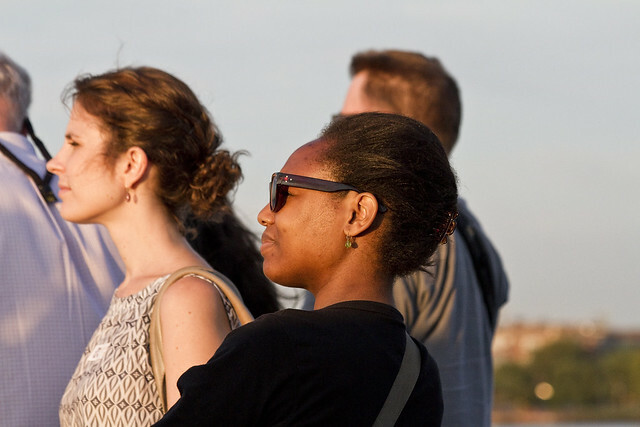 The tour will be departing from South Street Seaport’s Pier 16 in Lower Manhattan, on Tuesday the 9th of July, between 6:30 and 8:30 p.m.
Our vessel features two fully enclosed and climate controlled decks with all amenities. There is an open-air roof deck which offers panoramic views of the incredible harbor of New York and New Jersey. Snacks and beverages, including wine and beer, will be available for onboard purchase on the spacious and comfortable ship. Hidden Harbor® Tours are presented by Working Harbor Committee in partnership with the New York Water Taxi/Circle Line Downtown. 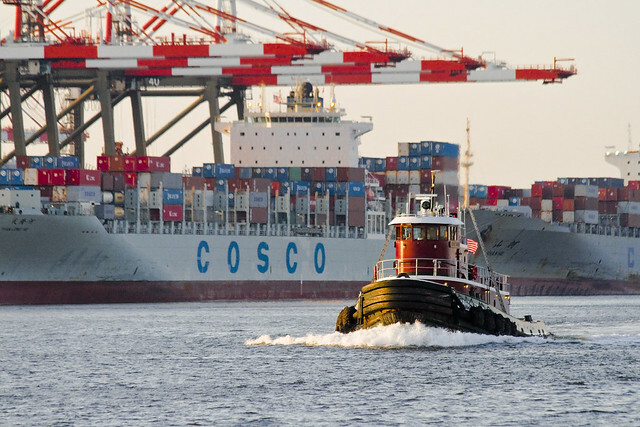 Visiting Brooklyn’s Erie Basin, then “Tugboat Alley” (aka the Kill Van Kull), our ultimate destination will be the Port Elizabeth and Port Newark container terminals. The Statue of Liberty will be visited on the way home, at sunset. 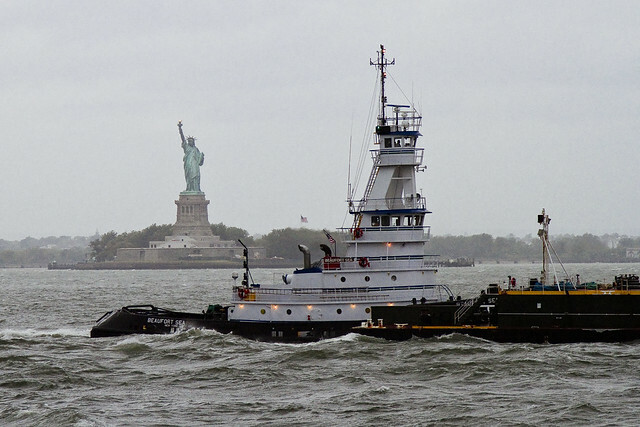 Tugboats, oil barges, tankers, container ships, car carriers, ocean liners and ferries ply the busy waters of New York Harbor daily, but most of their activity is hidden from land. On this cruise tour-goers will get an insider’s view of New York’s working harbor – the largest port on the East Coast and the third busiest in the nation. Working Harbor Committee offers boat tours from May to October. 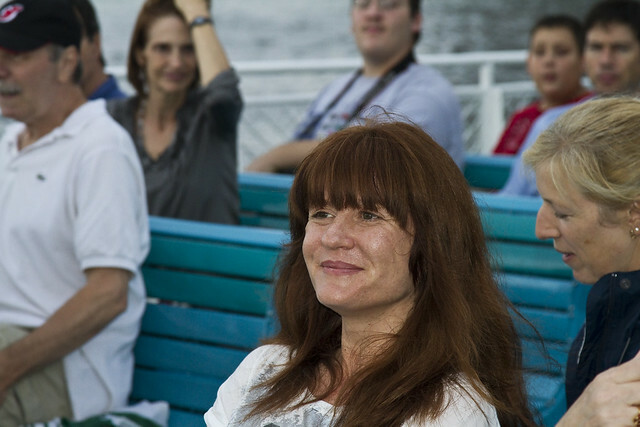 Tours are narrated by people who know the harbor intimately – tugboat captains, maritime historians and other experts. 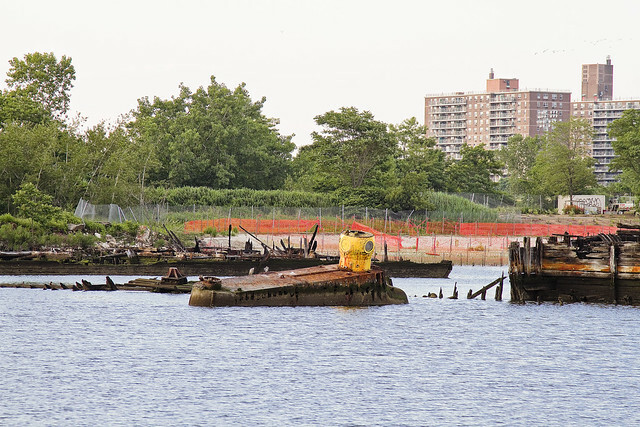 WHC’s schedule includes visits to places like the tugboat berths in Erie Basin and Kill Van Kull, container, breakbulk, oil and car ports in Brooklyn and New Jersey, Newtown Creek and many other locations. 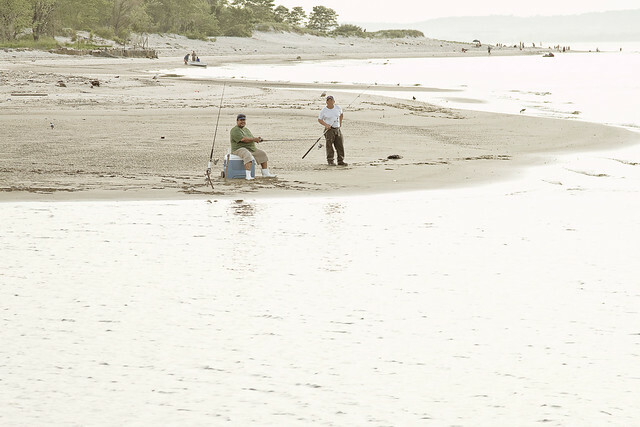 The group has been in operation for ten years, and proceeds derived from the tour help to support educational programs for at risk youths, as well as offering free harbor programming for senior citizens. 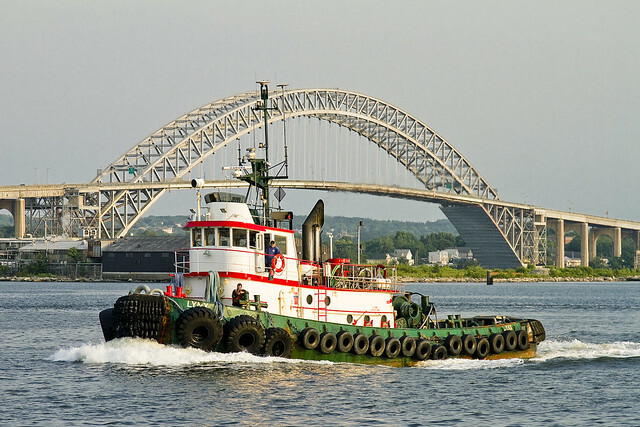 Onboard our comfortable NY Water Taxi vessel Zephyr, you will be delighted by a never ending parade of tugboats, cargo vessels, and see the immense cargo handling equipment which lines the shorelines. Hear the realities of keeping a 24/7 operation like this- which employs tens of thousands of New Yorkers- running from maritime experts and harbor insiders. The world of working maritime vessels and facilities is vitally important to the area’s economic well being. Want to know where your Toyota came in? How the ingredients for your chocolate bar got here? How your trash is removed? Welcome to the Working Harbor. 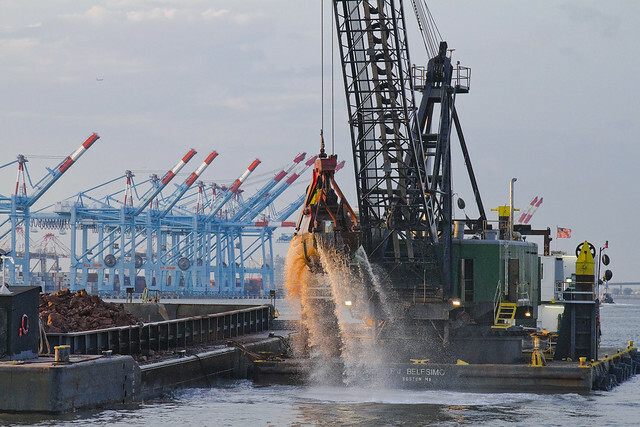 This tour passes by the Red Hook Container Terminal and visits Erie Basin, home of Hughes Brothers Barges and Reinauer Tugs before crossing the harbor toward Staten Island. It then enters Kill Van Kull, the area’s busiest waterway dividing Staten Island and Bayonne, passing tug yards, oil docks and marine repair facilities.It then passes under the Bayonne Bridge and visits the giant container ports of Newark Bay: Port Newark and the Elizabeth-Port Authority Marine Terminal, where the world’s largest container ships tie up. On the way back, we pass by Military Ocean Terminal, the 9/11 Teardrop Memorial, the Robbins Reef Lighthouse and more. The Statue of Liberty, at sunset, is our last stop before returning to Pier 16. 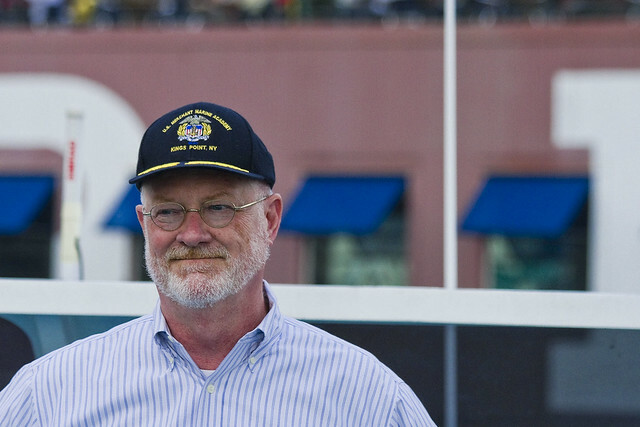 The July 9 Newark Bay tour will be led by Captain John Doswell, executive director of Working Harbor Committee. Capt. Doswell was a writer, designer, producer and software developer for many years before turning his attention to NYC’s waterfront. 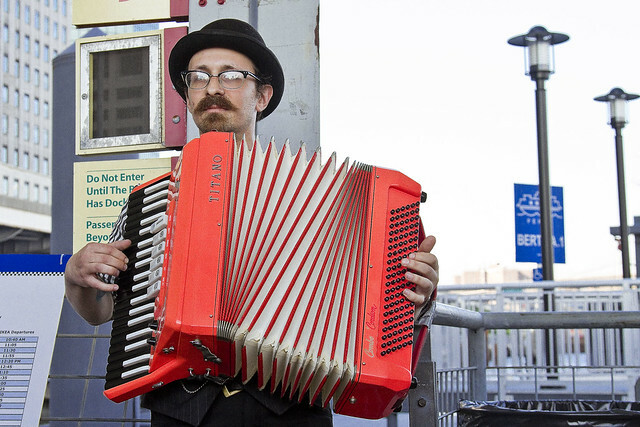 He serves on the board of several waterfront organizations and founded Friends of Hudson River Park. In addition, he is a waterfront consultant and event producer. Capt. 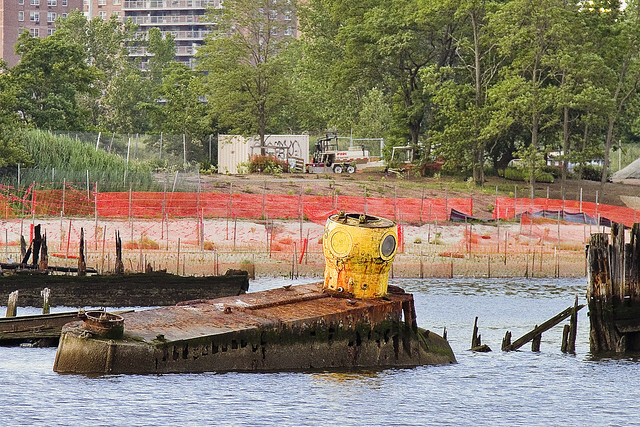 Doswell runs the annual tug race on the Hudson River, and has been involved with everything from Metropolitan Waterfront Alliance’s “City of Water Day” to “Op Sail”. 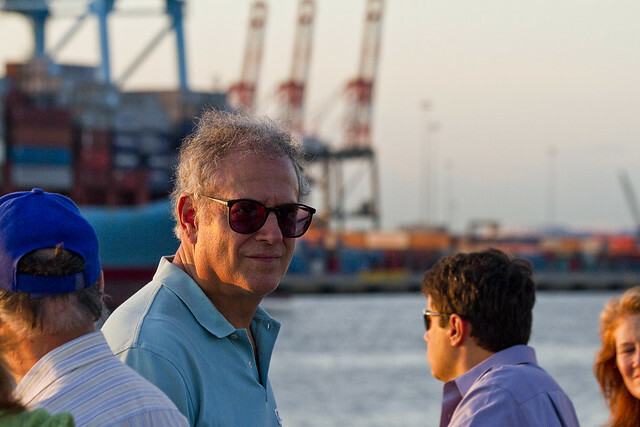 Special guest narrator Ed Kelly, executive director of the Maritime Association of the Port of New York and New Jersey, will draw on his long maritime experience to describe how the port works. 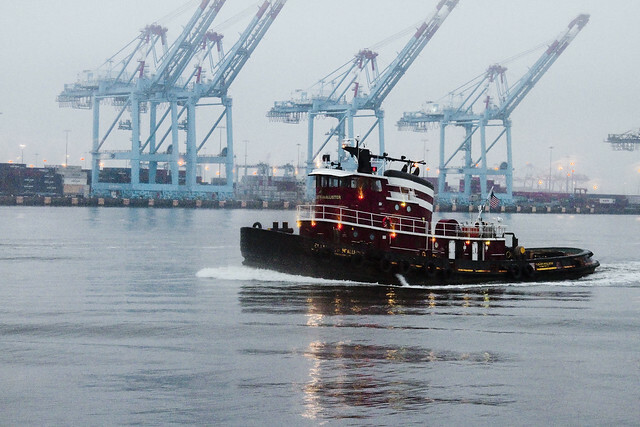 To get onboard with the Working Harbor Committee, and order tickets to our July 9 Newark Bay tour with Capt. 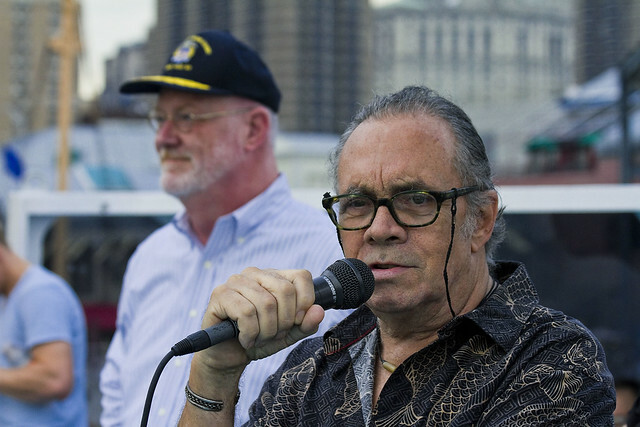 John Doswell and Ed Kelly, click here for the NY Water Taxi ticketing page. An ongoing catalog of New York’s endangered Fireboxes. 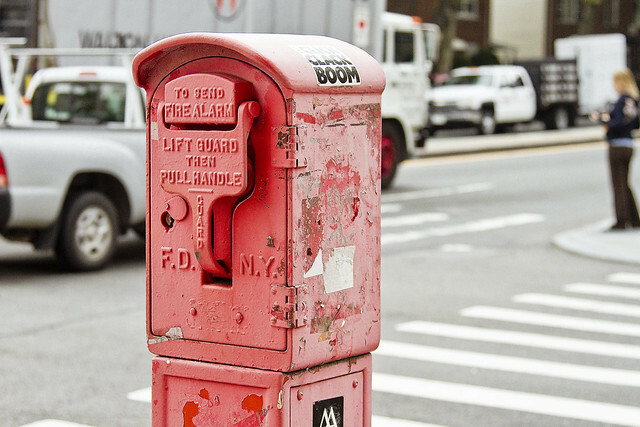 It’s a busy corner in Greenpoint, Brooklyn that this alarm box offers coverage to. During the era in which the modern City was formed, and these alarm boxes installed, telephones were a luxury item enjoyed only by the rich. Common folk would hand out the phone number of a church, bar, or shop to friends and associates. The phone would ring and one of the throngs of kids playing in the gutter would be dispatched to find the intended party and draw them to the phone. Fire service was deemed too important to rely on such a complicated and third party laden scheme, and the alarm boxes were installed by the FDNY. The modern government of the City would like to see this system uprooted, claiming that since “everyone” has a cell phone with access to 911, why shoulder the expense? 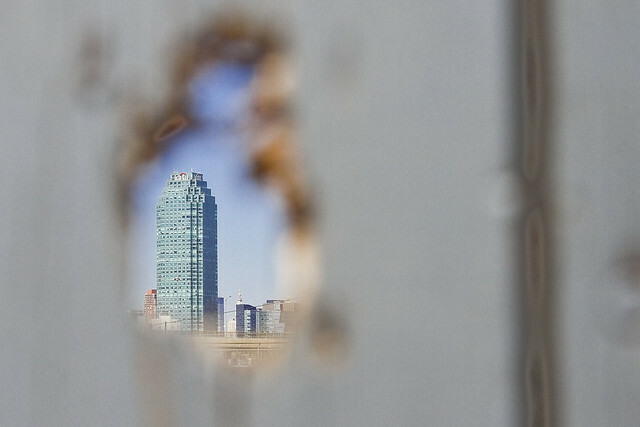 Newtown Creek walking tour with Mitch Waxman and Newtown Creek Alliance, tickets now on sale. Who wouldn’t want to live in a yellow submarine? Recent occasion brought your humble narrator to Pier 11 in Manhattan for an experimental excursion whose execution was meant to demonstrate the efficacy of a proposed ferry route between the Shining City and far off Coney Island. The organizers of the trip hired the fellow above to entertain whilst boarding. Personally, I prefer bagpipes to accordions- but that’s me. “Friends of Coney Island Creek Ferry Landing + Park” was the group which sponsored and promoted this run, and onboard were NY Harbor luminaries such as Dr. Roberta Weisbrod from Working Harbor Committee, and Metropolitan Water Alliance’s Roland Lewis (and MWA’s irascible and tireless Louis Kleinman) as well a host of others. The trip left from Pier 11 in Manhattan and proceeded to the infinity of Brooklyn. City Hall would like to turn this Creek into a swampy wetland, but others wish to establish a route to Coney Island for tourists and Manhattanites to provide a notoriously moribund local economy with a financial shot in the arm. “Big Picture” stuff and above my pay grade, I came along mainly because I was curious if the Yellow Submarine had survived Sandy. Built by a fellow named Jerry Bianco as the Quester 1 and launched in 1970, the sub is discussed in some detail in this nytimes.com article, and our friends at Forgotten-NY have explored the subject in some depth as well. Mr. Bianco was interested in salvage operations on the sunken Andrea Doria wreck, but things didn’t work out. Today’s post is of an entirely pedestrian manner. For about a year, I’ve been noticing this odd pattern all around the Newtown Pentacle, wherein a seemingly discarded single shoe is left conspicuously placed. As mentioned often, my particular curse is to notice everything, and these castaway garments have captured no small amount of my attentions. 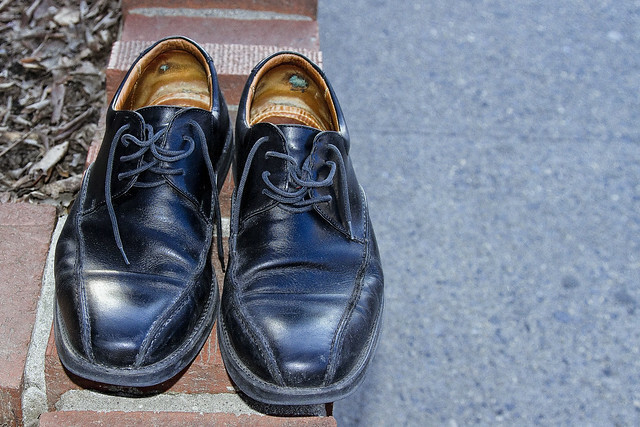 What’s odd about this is not that someone is discarding an item in the street, a common enough occurrence, its that shoes come in pairs and you seldom discharge one from service but keep its antipode. 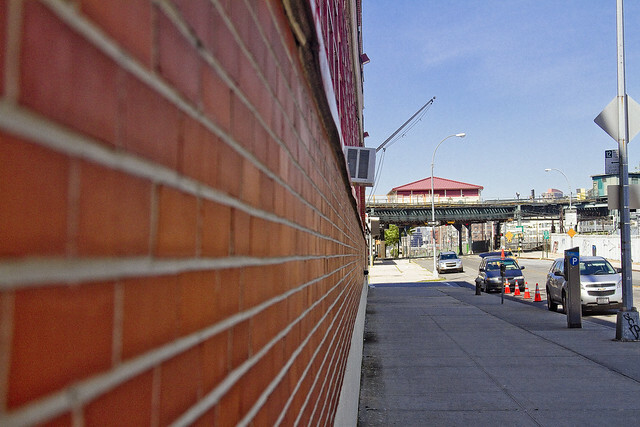 The boot in the shot above was in Astoria, at the corner of 43rd street and 34th avenue. 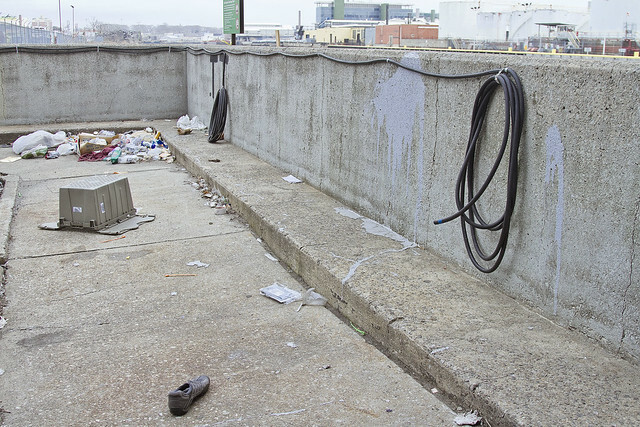 Down Under the Pulaski Bridge Onramp, or DUPBO as I refer to it, is a spot beloved by those that engage in the native art form of Queens- illegal dumping- and it is unsurprising to see entire wardrobes of clothing abandoned here. I once saw an entire dining room set down here, posed as if it was awaiting the gathering of a family to dinner. Yet, once again, you find a single shoe. Just as the weather began to warm up in 2013, a change in the pattern was observed. Suddenly shoes began to appear in matched pairs. This shot is from Northern Blvd. 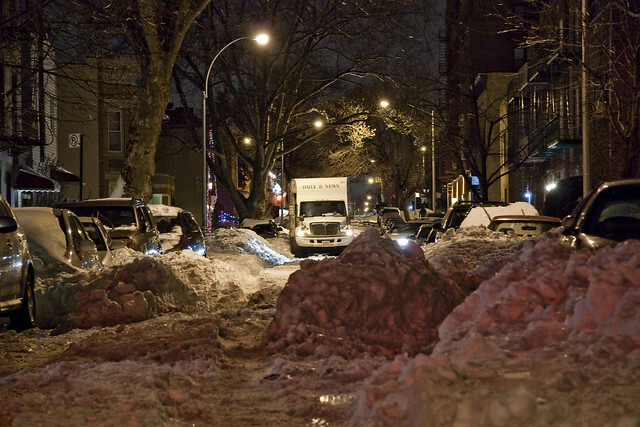 nearby Steinway Street in Queens. 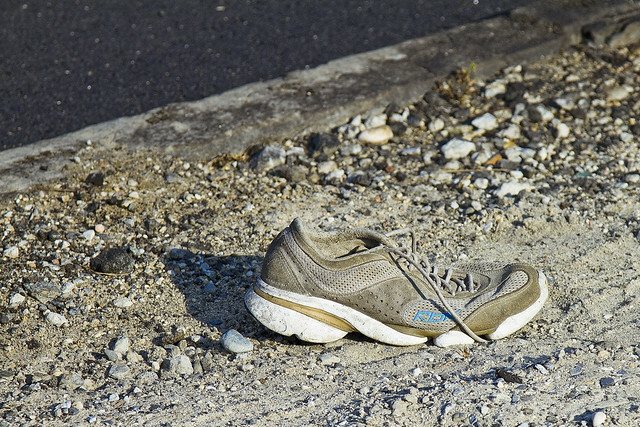 At first, it seems almost normal, just a pair of abandoned shoes. Unfortunately, that’s what triggers another of my curses- which is to ask “Why?” Why would somebody remove their shoes on a busy glass strewn road, and in front of a gas station? What is the logical chain of dominoes which fell into place that brought this footwear to this particular spot? Was it the Rapture? 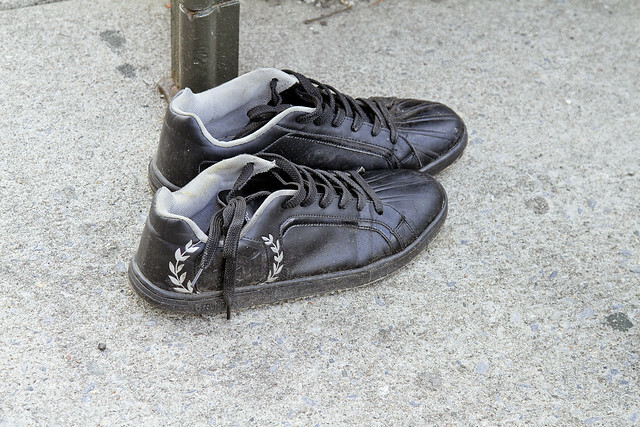 Presumptively, the fellow who carefully placed this abandoned set of kicks on 30th avenue and 45th street had another pair ready to go, but why not change them out at home? My habits, at least, include the sustained usage of footwear when out of the house. It is one of my deeply held beliefs that unless you’re arriving at the beach, park, or a pool and find yourself removing your shoes when out of the house- you’re either in need of medical attention or being arrested and searched (or visiting someone who made the calamitous decision to buy light colored carpets). I stay laced, but that’s me. 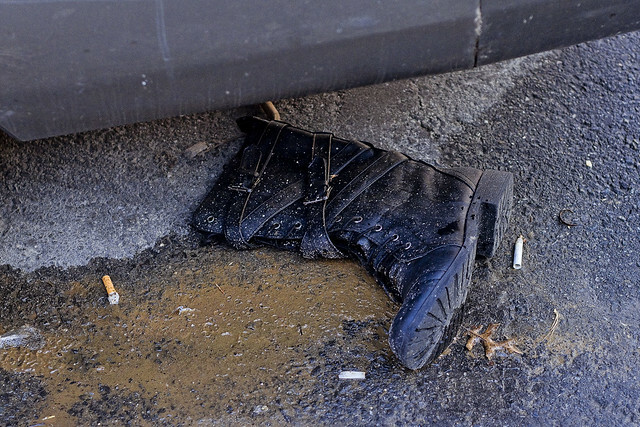 I grew up in a version of New York which considered smashing beer bottles on the sidewalk as being huge fun, and a City in which wearing heavy boots was an absolute necessity which had nothing to do with fashion. The pair above were encountered in on Skillman Avenue in Sunnyside, and for once I had a witness along (Hi Tim) who can attest that they were neatly set out upon a stoop. Probably some generous soul, we surmised, setting out used shoes for the needy. Still, I wonder, and need to invoke my secondary curse. “Why”? What is the worst part of going bowling, and if you need to wear someone else’s shoes, would it be any of these? 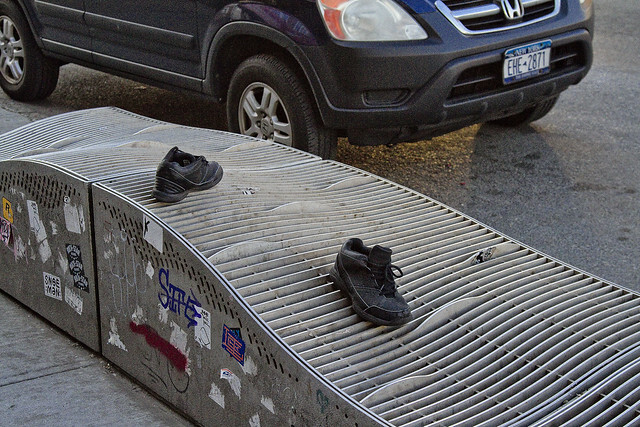 Just the other day, on Kingsland Avenue in Brooklyn- nearby Greenpoint Avenue and the Newtown Creek- a single shoe awaited me as I shambled past. It was sporty model, meant for a right foot. Back to my first curse, the one which compels me to carry a camera around and obsessively record everything encountered, and an odd detail about each and every shoe displayed in these shots- which is that they all have their laces arranged neatly. Just to reiterate my belief that there’s something odd going on here, and demonstrate that this is “a thing” – check out the great Cecil Adams over at “The Straight Dope” struggle with the phenomena. Focus is the topic for today. A humble narrator has many triggers which send him off into a spiral, but I’ve been too busy of late to really enjoy a good “freak out.” Little respect is offered to those who “lose it” on a regular basis or at inopportune times. One should not burden others with intangible or existential worries, I was instructed at an early age, nor “act up” in public lest personal inadequacy or weakness be revealed in doing so. Just last night, one of my little triggers convulsed when a mid level government employee used the phrase “Now, more than ever” while telling me about her vague suspicions that photography aids and abets terrorism. Sophists and corporatists, those who rule the roost these days with their corruption and vain indifference to the long term, hold these days. “Knowing my place” is not something which your humble narrator thinks he can do anymore. “If you see something, say something” is the mantra often repeated by these current masters of the local vicinity, an attempt to get us the rabble into the habit of snitching on each other and driving the train of bureaucracy forward. 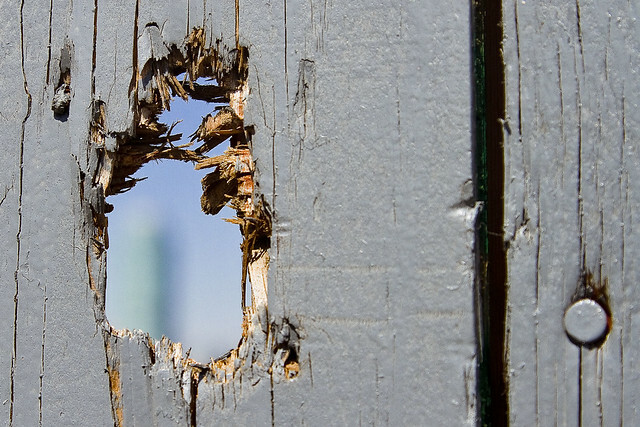 I do see something, often, and won’t be curtailed in saying something anymore. Unfortunately for the “powers that be” who often proffer this statement, more often than not what I see when searching for enemies of the state and common good is not some threat emanating from a faraway desert, but is instead the institutional culture of government itself. Today’s post is all about perspective. 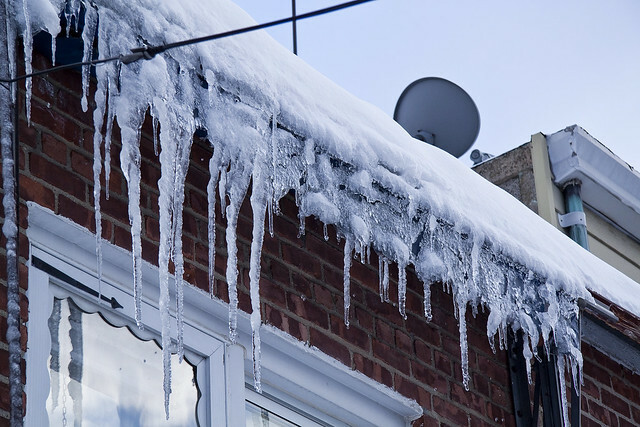 It’s going to be hot today, so it’s time to think about staying frosty. The historic low temperature for June in New York City was set in 1972 when it was just 46 degrees. 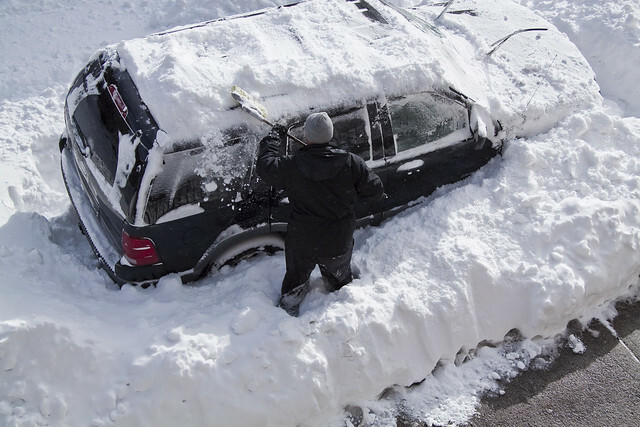 It’ll feel like double that at solar maximum today, so I thought that scenes from the snowpocalypses of recent memory might offer some comfort. Stay cool, kids. Personally speaking, I unfortunately will be out all day in the direct gaze of the burning thermonuclear eye of god itself. A busy series of Newtown Creek related intervals will carry me back and forth and forth and back from hallowed Astoria to hoary Greenpoint. One could always feign stomach illnesses, “nobody argues with diarrhea” as I always say, but I actually desire to fulfill my on site obligations- it wouldn’t be cool to back out at the last minute, you might say I was “being cold” and I wouldn’t want to be frozen out of future opportunities. I am not at liberty to discuss what I’m doing in the morning yet, which will entail getting up just after sunrise, but suffice to say that I’m going to the last place you’d expect me to today. You might even say that you’d expect a cold day in hell would be more likely than what my actual plans are. Suffice to say that I’ll be wearing protective clothing despite the heat, which will include long sleeves, gloves, and a hard hat as well as steel toe boots. Stay frosty, lords and ladies, and to quote a certain popular television show- remember that winter is coming. Today’s posting comes direct to you from Astoria, Queens. Just a short posting today, a couple of scenes recently recorded here amongst the blessed slopes of raven tressed Astoria. 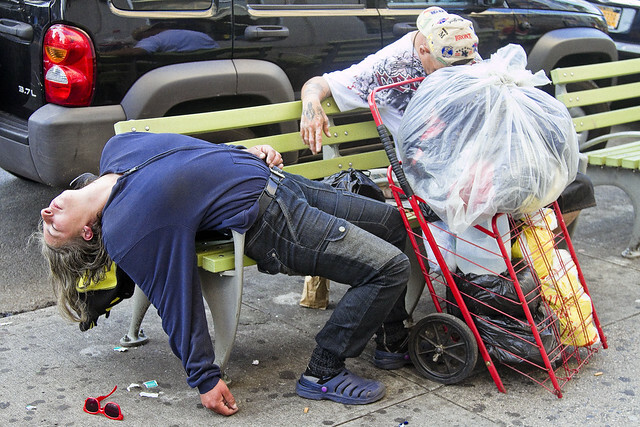 The couple shown in the shot above were observed on Steinway Street, taking an afternoon nap on one of the many new benches recently installed. Scenes reminiscent of the one above are the reason that the Koch administration removed this form of street furniture around the City in the first place, back in the 1980’s, as I recall. 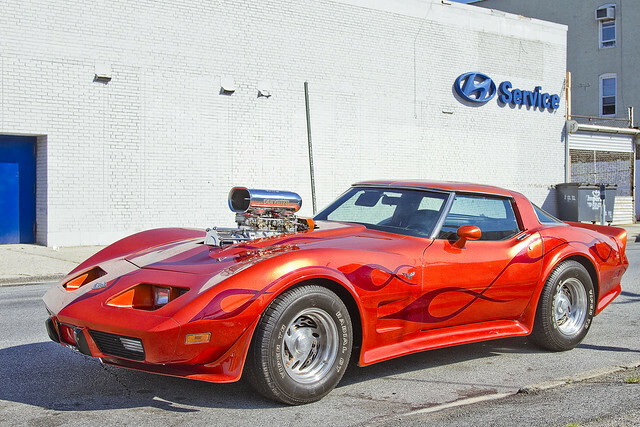 Strongly contrasting with the first shot is this amazing hot rod Corvette parked just a few blocks away nearby Northern Blvd. Upon observation of this well appointed automobile, a humble narrator began to gibber and jump with acrimony over the fact that it is not his. It is high time that I have a midlife crisis, and this car would fit the bill for my last grasping attempts at youthful abandon. I would call it the Mitchmobile, and would be heard loudly and atonally singing “na na na Na Na, Wax-man” whilst touring the Newtown Creek at a thousand miles per hour.